Other than both being curvy girls, Princess Piggy Poo and I don’t have much in common, except when it comes to getting out of bed in the morning. I always say, “Waking up is the hardest part of the day,” and Princess Piggy Poo seems to feel the same way. My disdain for morning is how I discovered Princess Piggy Poo isn’t an early guinea pig. When our a.m. playtime disintegrated into me dragging Princess Piggy Poo into bed and sticking her under the covers, my cavy went through a metamorphosis. She owns that morning cuddle time now. Gone is my fear that she’ll be crushed under the weight of all the blankets or, worse yet, rolled on…she screams if I try to move her in the slightest, so her alarm is in place. Speaking of alarms, there are four of them (not counting Princess Piggy Poo), two on the clock radio and two on the iPhone. Princess Piggy Poo has caught on that the fourth alarm on the iPhone gets a snooze. She stays warm and cozy for nine minutes until it goes off again and then runs further under the covers so I can’t reach her. If I hit snooze again, Princess Piggy Poo runs back up to my arm and gets comfy again. My furry Miss Sunshine didn’t have any trouble training me to hit that snooze button more than a couple of times every morning — that’s how we made the worst part of the day our favorite. 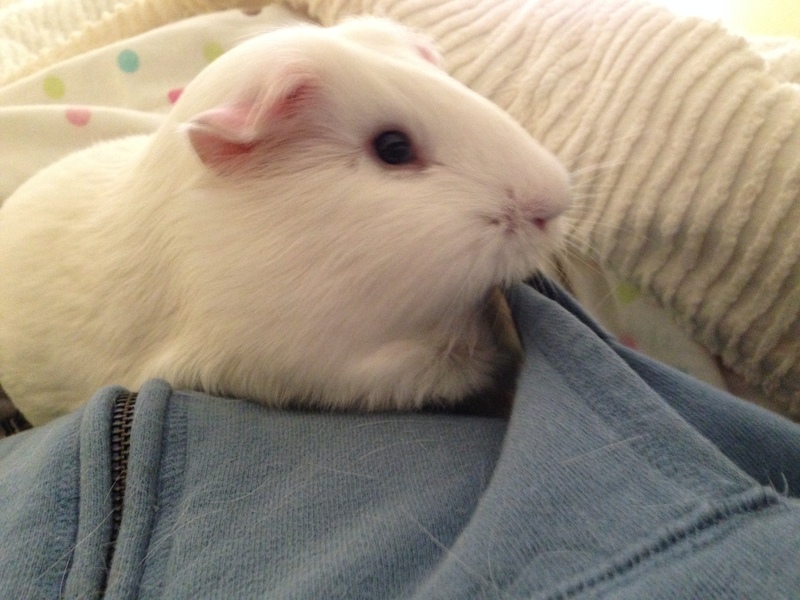 This entry was posted in Uncategorized and tagged cavy, cuddle time, furry, guinea pig, princess piggy poo. Bookmark the permalink.